It’s spring and time to start thinking about getting the boat in the water, or, if you’ve done your shakedown cruise, to get after those nagging little things that will grow bigger if left unattended. Boat racing season begins this month all over the world and competitive fishing in fresh and salt water are gearing up as well; are you ready? Now is the right time for a little spring cleaning to squeeze more performance out of your vessel before the season begins in earnest. BBLADES has programs in place that let you test and tweak your boats performance affordably. The right prop and boat set-up can save you money in fuel, not to mention the embarrassment of being at the back of the pack. Keep reading here or visit the BBLADES website to learn more about our test programs. And don’t forget to join us at the BBLADES Facebook page for useful information about a better day on the water and some fun, funny and informative useless information as well! So now that you have the perfect wheel for your boat and motor combination, what’s the best way to improve performance without spending a fortune to upgrade horsepower? How can you improve time-to-plane, poor trim reaction or reduce prop slip? The answer is simple: engine set-up. The solution is not so simple, but easier if you take advantage of BBLADES’ Spacer Plate Test Program, and you won’t find another program like it anywhere. BBLADES offers spacer plate testing for Bravo, Bravo Sport Master, or #6 Drives. Spacer plates allow boaters to change the depth of the propeller in the water—the so-called “X” dimension. Lowering the “X” dimension can improve a boat’s attitude and handling while raising it will generally increase speed. Spacer plates lower a gearcase without having to change the drive height, improving overall performance, decreasing prop slip percentage, reducing “time-to-plane,” and increasing bow lift. BBLADES offers spacer plates for Bravo and Bravo Sport Master drives in 1-, 1.5-, and 2-inch varieties that can be tested for 15-days at a cost of $100 per plate. The deposit and test fee are applied to the purchase price if the spacer plate delivers the desired results. If further testing is required, test plates can be traded for an additional test fee until the correct depth is determined. Customers are responsible for the shipping costs in both directions. For the high-end performance boater, BBLADES is the only manufacturer offering #6 Drive spacer plates in quarter-inch increments, ranging from ¼-inch to 3-inches. All other manufacturers only offer spacers in half-inch increments. A quarter-of-an-inch may not sound like much, but an experienced boat rigger knows that each boat and each set-up is different. The ‘one size fits all’ mentality of some manufacturers does not meet the needs of the serious performance boater looking for the ultimate set-up and optimum performance. The #6 Drive program works the same way as its Bravo counterpart, but with a $200 per plate testing fee. BBLADES also offers riggers a complete line of #6-Driver Stud Spacers. This innovative product allows riggers to decrease the size of spacer plates without changing stud length. This is a more cost–effective testing procedure. Are you serious about maximizing the performance of your boat? BBLADES is too; we’ll consult with you to find the best possible set-up combination, and it won’t cost you more than the price of the phone call. What are you waiting for? The boating season is only getting shorter from here forward! BBLADES’ testing programs are only available the continental United States, unfortunately. We are excited to share with you the news that BBLADES is now an Authorized Distributor for Mercury Marine’s Quicksilver brand of premium quality propellers and propeller hardware. What this means for you, the boater, is the ability to purchase one of the most widely recognized names in outboard and sterndrive propellers, making BBLADES your one-stop shop for all things propeller related. Our BBLADES dealers, will be able to purchase props and hardware at dealer cost WITHOUT a formal affiliation with Mercury Marine or a Mercury dealer number. BBLADES can provide a marina, service center, or dealership full distribution services whether the purchase is an occasional part or propeller, or we can set up regular deliveries for any Quicksilver props or prop hardware to meet your stocking and inventory needs. BBLADES dealers receive all of the benefits of an authorized Quicksilver dealer without the annual commitment—or any commitment, for that matter. Just give us a call when you need something. 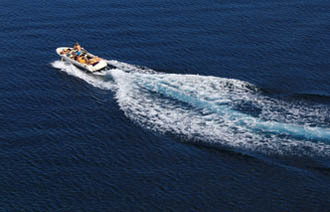 Our boating customers can compare the pricing on a variety of quality props and accessories by visiting www.bblades.com. Dealers are invited to get distribution details by call Brad or Brett at (920) 295-4435 for more information or to place your first order. We are proud of our strengthening relationship with Mercury Marine and our ability to pass those benefits along to you, our loyal dealers and customers. 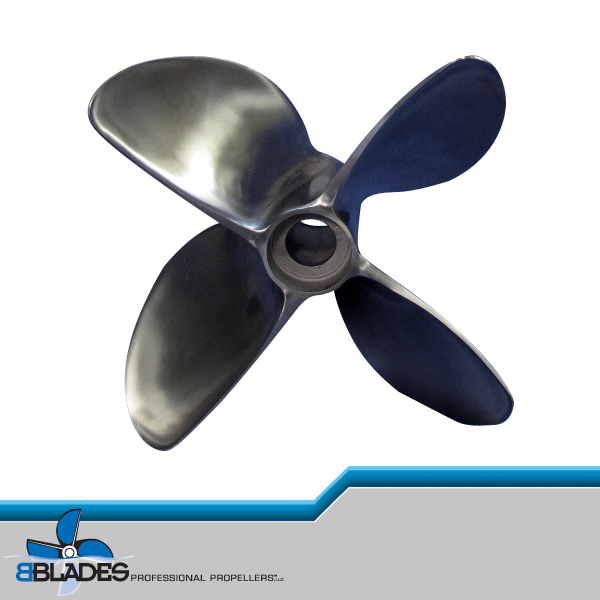 No matter what type of boating you do, what type of horsepower you run or what type of propeller you spin, BBLADES has the right prop to help you achieve your performance goals. Better hole shot? No problem. Faster top-end? We can help squeeze out a few more rpm and mph. Improved fuel economy? There’s a prop for that. But even after consulting with your BBLADES prop pro about which wheel is best for your application, the true proof is how it performs on your boat, and BBLADES Prop Test Program lets you try before you buy. 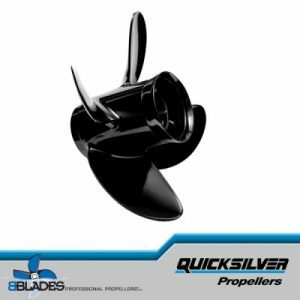 BBLADES offers test props from our own line of quality propellers, as well as those from Mercury, Turbo, Hydromotive and now Quicksilver. It’s really pretty easy to take advantage of BBLADES Prop Test Program: After discussing your best options with BBLADES, order the prop(s) through the test program. A test fee of $55 per prop. You then have 15-days to test and record data, and we even give you a handy test form to make sure you’re collecting the right data. If the propeller works, just charge the purchase to your credit card. If you choose to test a different formula, we’ll ship additional demos under the terms of the program upon return of the original propeller(s). The customer pays all shipping charges. The details are available here, for props. 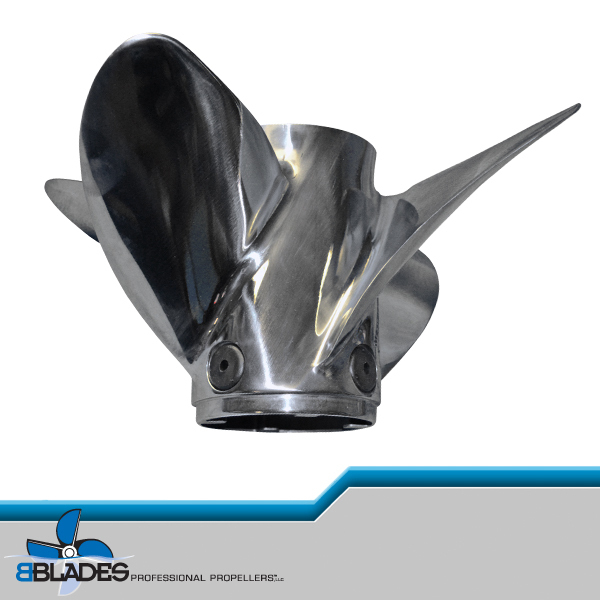 BBLADES Propeller Test programs give boaters the confidence to buy a new prop knowing how it will work and knowing it’s the right choice before shelling out the purchase price. The only downside to our propeller testing programs is that they are limited to the continental United States. So before you make your next propeller purchase, see if anyone else out there is offering this unique opportunity. But be forewarned, you might be looking for a while. “Prop slip” may be the most misunderstood term in boating. It sounds like something bad, but it’s all good, because without prop slip there would be no forward thrust and you’d be going nowhere… fast. In simplest terms, prop slip is the difference between actual and theoretical travel resulting from a propeller’s angle of attack. Too much prop slip leads to cavitation or prop blow-out; it means the prop diameter is too small for the horsepower and load. Too little slip means too much blade diameter and a wasteful amount of power is used up in blade friction and not forward thrust. Confused yet? Try this: a 10-inch propeller actually advances only 8.5-inches in one revolution. 8.5” is 85% of 10”, leaving a prop slip of 15%. You can use some trigonometry, a rotational speed equation and a theoretical speed equation to calculate prop slip (and risk having your head explode) OR you can punch in your pitch, gear ratio, engine rpm and actual speed to the BBLADES Prop Slip Calculator, and it will do the work for you. Have other questions about Prop Slip? You can always give us a call and we’ll be happy to walk you through the process and suggest a propeller to better suit your boating style. The data is stored in the MRI for future use and also allows us to print graphs and charts – in full color – which help ensure current and future work on a given propeller is the most accurate it can be. Just exactly what we do is a closely guarded trade secret, but your propeller’s readouts are available for purchase if you’re looking for some unique art for the wall of your shop or man cave.